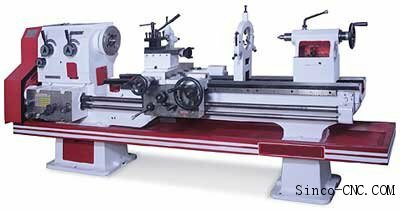 The All Geared Lathe Machine which we provide is made up of 25 Grade Cast Iron and is hardened up to 400 BHN hardness; it is stringently checked for quality. Provided as time saver equipment with separate thread & feed Shaft. All Geared Shaping Lathe Machine is equipped with feed & thread gears could be changed rapidly and decreases the wear and tear of half nut and Lead screw.